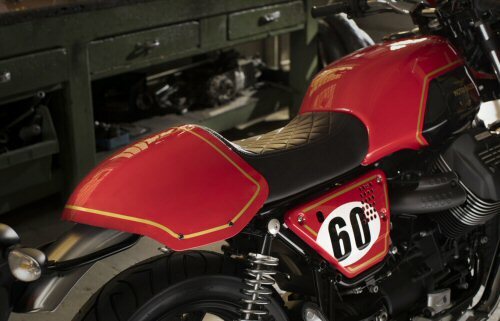 In order to install the painted passenger cowl cover, owners of all bikes (except the V7 III Racer) will need to purchase the 607029 V7 III Racer Saddle. 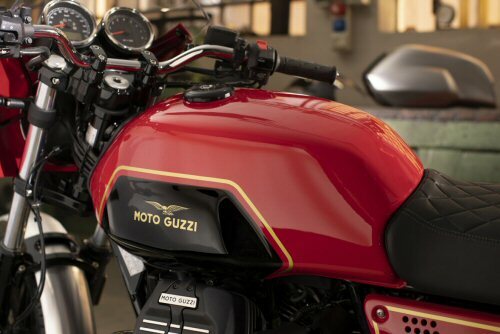 This kits livery and design is inspired by the Grand Prix victories won by Moto Guzzi in the '40s and '50's. *Please note: Due to control cable, brake line, fuel line, and electrical component configuration constraints, we strongly recommend this kit BE INSTALLED BY AN AUTHORIZED DEALER. **Please also note: Installation of this kit requires removal of the stock mirrors. 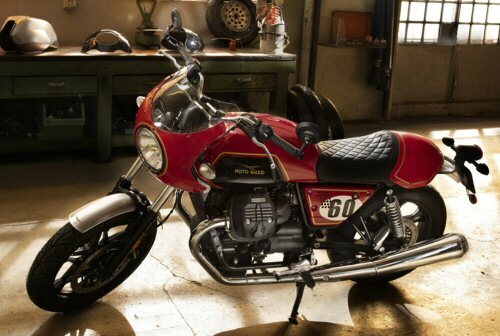 Moto Guzzi recommends the 2S000610 bar end mirrors. 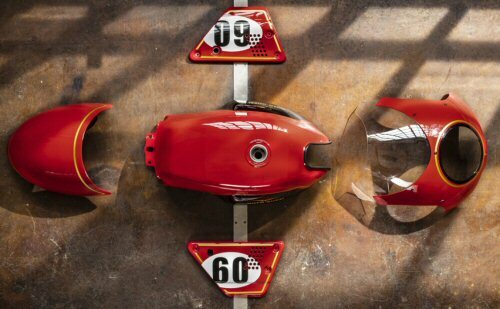 We prefer the LH CRG Hindsight Mirror and the RH CRG Hindsight Mirror instead, because they are half the price and have a fold-back feature.